Home » Musical » Oliver! 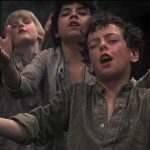 Musical version of Charles Dickens’ “Oliver Twist” adapted from the stage hit, 1968 Best Picture Oscar. Oliver! is a musical adaptation of Charles Dickens’ classic story of an orphan. It’s very well done, from the casting, to the acting, to the cinematography, to the songs. The performances are excellent all around. Oliver Reed especially shines as the utterly despicable Bill Sikes. The songs are well done, and memorable, and it’s a delightful movie that I’m glad to recommend. Cast of characters in Oliver! Bill Sikes (Oliver Reed, The Three Musketeers, Curse of the Werewolf). Oliver Reed gives an excellent performance as the criminal Bill. A man without mercy, or compassion, except perhaps for Nancy. But that doesn’t stop him from hurting her. Nancy (Shani Wallis, Once Upon a Mattress). Bill’s live-in girlfriend. Not a good person, but someone who still cares about people. And risks her life to help Oliver. Experience the high-spirited adventures of Oliver Twist in this Oscar(r)-winning musical adaptation of Charles Dickens’ classic tale! 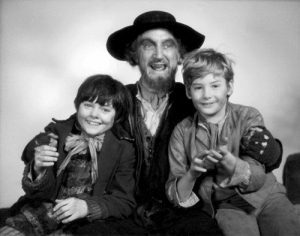 Young Oliver (Mark Lester) is an orphan who escapes the cheerless life of the workhouse and takes to the streets of 19th-Century London. 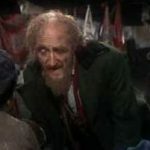 He’s immediately taken in by a band of street urchins, headed by the lovable villain, Fagin (Ron Moody), his fiendish henchman, Bill Sikes (Oliver Reed), and his loyal apprentice, The Artful Dodger (Jack Wild). Through his education in the fine points of pick-pocketing, Oliver makes away with an unexpected treasure… a home and a family of his own. Set to a heartfelt score that includes such favorites as “Consider Yourself,” “Where Is Love?” and “As Long As He Needs Me,” Oliver! leads us on a journey in search of love, belonging, and honor among thieves. Winner of six Academy Awards(r) (1968), including Best Picture and Best Score, Oliver! will steal your heart! Film buffs and critics can argue until their faces turn blue about whether this lavish Dickensian musical deserved the Academy Award for Best Picture of 1968, but the movie speaks for itself on grandly entertaining terms. Adapted from Dickens’s classic novel, it’s one of the most dramatically involving and artistically impressive musicals of the 1960s, directed by Carol Reed with a delightful enthusiasm that would surely have impressed Dickens himself.